Electrical repair services in Australia have an average price of $80/hr. The rates, however, may vary depending on the work being done. Simple electrical repairs usually start at $70/hr, while a more complex job costs about $88/hr. All prices stated in this article are based on FY 2016 pricing data compiled by ServiceSeeking.com.au. The figures resulted from a comprehensive analysis of quotes submitted by Electricians on the site from July 2015 to July 2016. She had the metre box in her rental property replaced. Her old ceiling fan was noisy, so she needed to take them out and replace with a new one. The quote she received covered the supply and installation of a new ceiling fan as well as the replacement of the wall controller. However, it does not include wall patching or painting, which may be required due to the removal of the old wall controller. Switch was part of a three-switch socket, and it was the only part that wasn’t functioning. Lights were flickering and buzzing because of this, and they also failed to turn on. 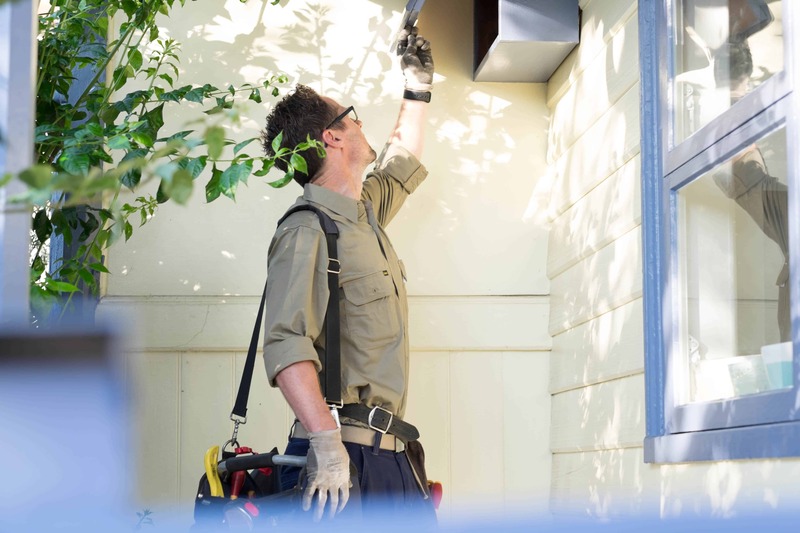 Australians typically pay their sparkies around $152.16 for a standard electrical repair or routine maintenance job. However, if you need them for an emergency job or you need them to do certain tasks outside normal business hours, you will definitely be charged extra for that. There are many variables that come into play when it comes to estimating the overall price of an electrical repair job. Labour costs vary depending on the sparkie’s qualifications. A licensed electrician knows their worth and will charge according to their skill and level of expertise. 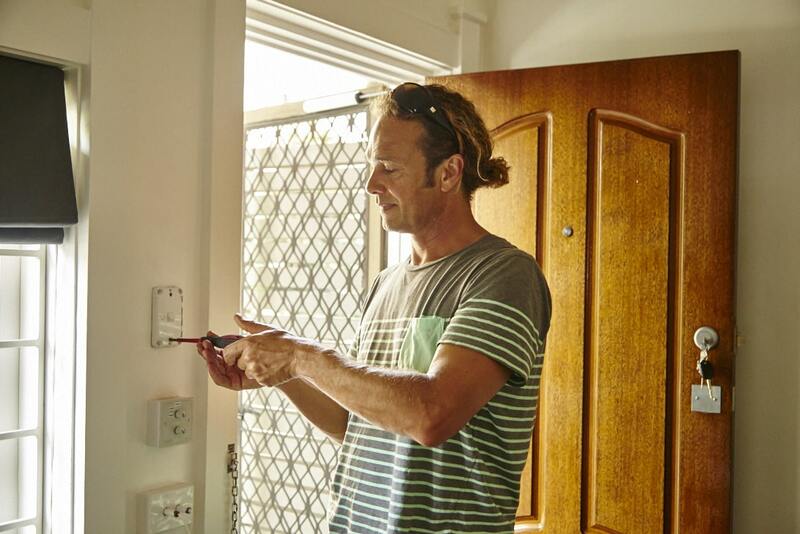 Some tradies may offer to do the work for less but make sure that they are indeed licensed and insured to provide electrical repair services. Be prepared to pay more for emergency electrical jobs as well. Sparks and burnt electrical smells need urgent attention as they can be potential fire hazards. Electricians who are available 24/7 charge a premium rate for work done on weekends, holidays, and after hours. The size and scope of the job also affect the total amount that you need to pay. The longer it takes to finish the job, the more you’ll have to pay since electricians often charge on an hourly basis. 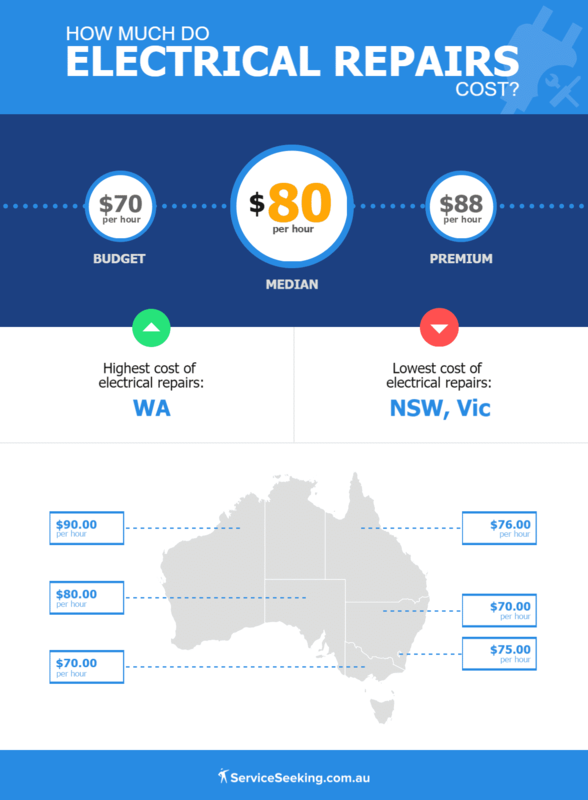 Residents of New South Wales and Victoria are paying the lowest price for electrical repairs at approximately $70/hr. Meanwhile, Western Australian residents are paying the highest rates at around $90/hr. Electrical repairs in the Australian Capital Territory and Queensland have almost the same average rate at $75/hr and $76/hr respectively. If you are in South Australia, be prepared to shell out about $80/hr when hiring electricians. For your safety and peace of mind, getting a licensed and insured electrician is a must. You can check out ServiceSeeking.com.au for a list of reliable electricians in your area.